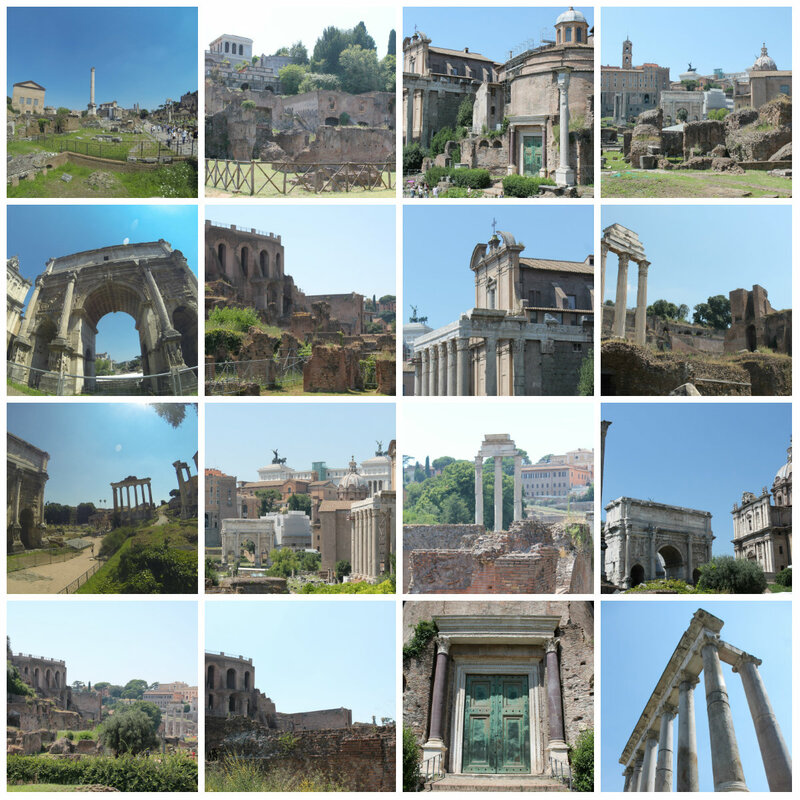 Where do I even begin when writing about Rome’s Colosseum, Palatine Hill, and Roman Forum? 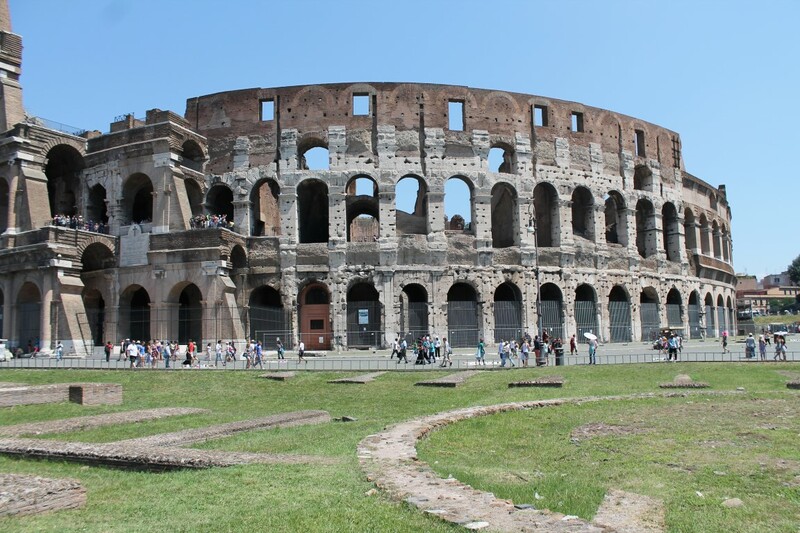 These ancient archeological sites are world famous and extraordinary. The massive sites take hours to explore (if not days and days), yet it’s an experience hard to put into words. 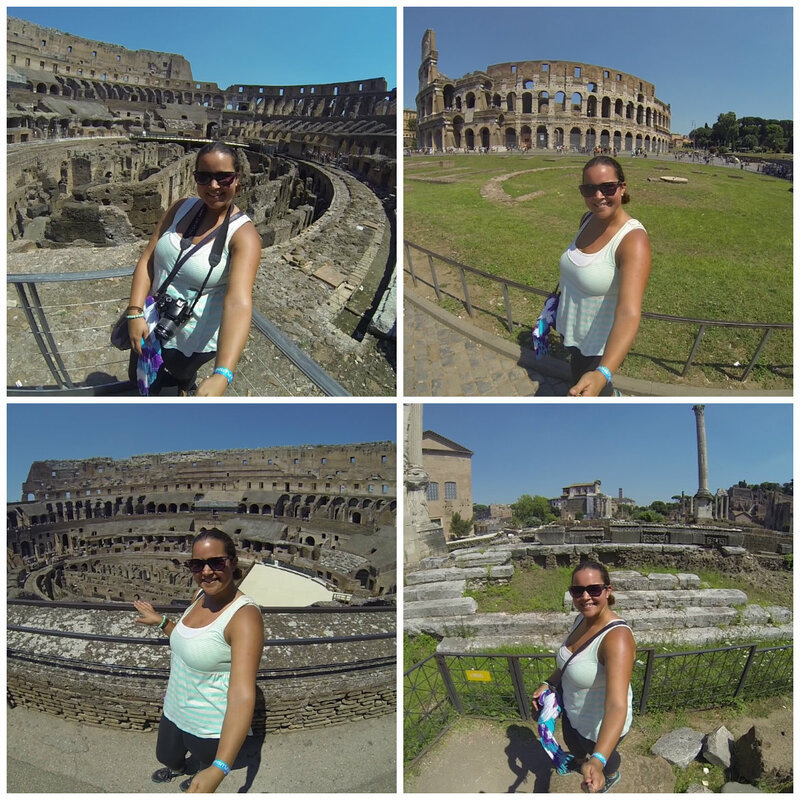 My exploration of the ancient Roman ruins was a dream come true and something I waited my whole life to see (and I wasn’t even sure if I would ever get the chance to see it). From the Arco di Tito, Piazza di Veneree Rome, Foro di Casare, and Foro di Augusto, I walked the grounds of ancient Rome surrounded by ancient temples and pillars. Now, I am left with goose bumps and no words when trying to express all that I saw. Were you ever left speechless after experiencing something you waited your whole life to see? 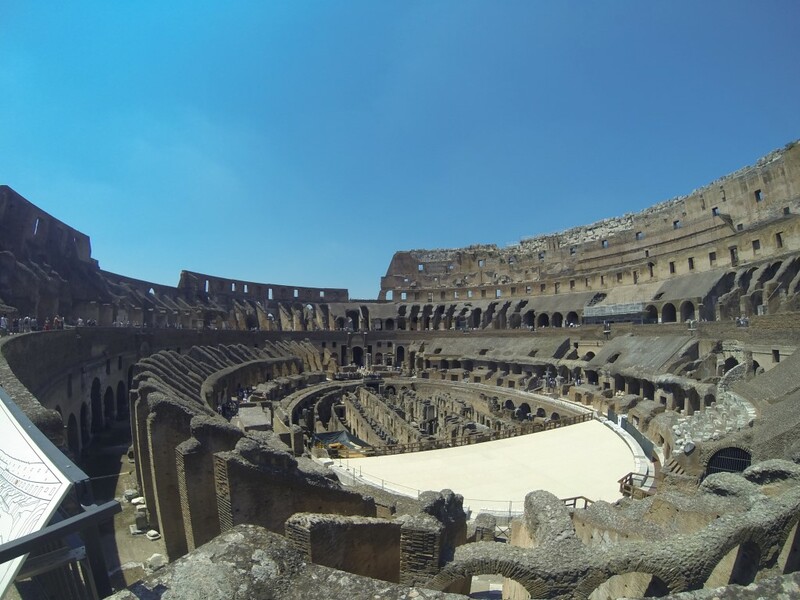 This entry was posted in Europe, Italy, travel and tagged adventure, Bucket List, Colosseum, Europe, experiences, Italy, photography, Roman Ruins, Rome, Travel, travel photography, Turquoise Compass by Turquoise Compass. Bookmark the permalink. I’ve been very luck with the weather in Europe. It did rain a fair amount, but typically on drive days or at night. It was truly overwhelming! To see a place as grand as this leaves one speechless and excited to see more of this world. I know exactly what you mean! Why do we have wars!? I can totally relate! I had the same feeling while exploring Ancient Rome. 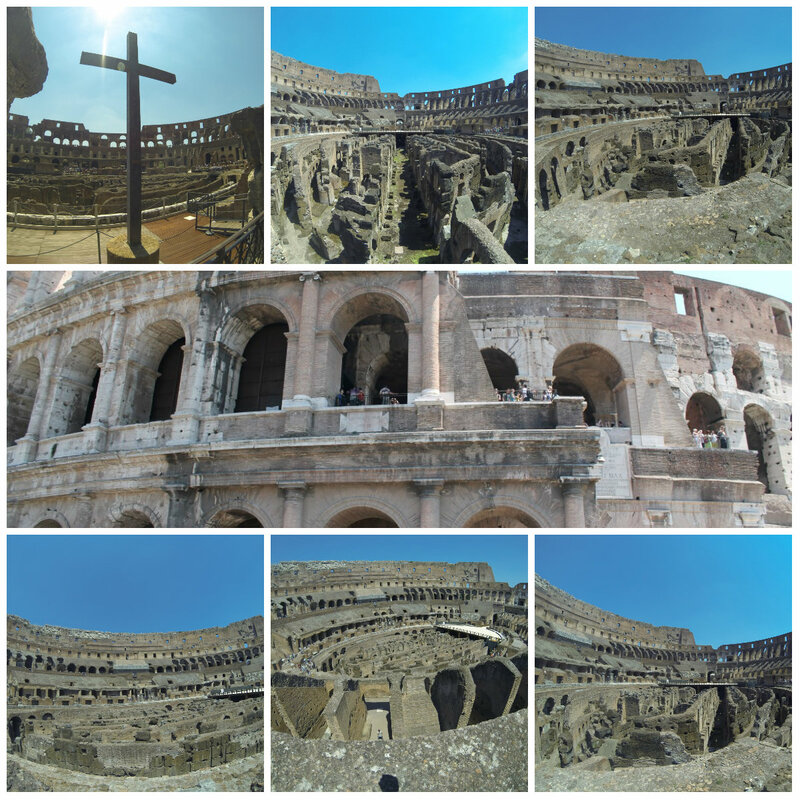 The Colosseum is a force to be reckoned with. When I came upon it for the first time I was in shock and awe. I can’t wait to go back and explore again for a second time. There is SO MUCH to see. Exactly! You get my drift! It’s something so grand, magical, historical, and it has its own unique presence–something hard to explain or put into words. It left me speechless like you—in utter shock and enlightenment! It’s also that moment when you DO realize there is so much more to see. We sound so alike! Perfecto! You look really happy! I’m so glad that you have been able to fulfill your European dream. We’re now back from Asia, so give me a bell, if you can, when you get to Berlin. Have fun! Happy as a clam! (I never understood that statement, lol). Europe is spectacular!